Lexus Considering Local Manufacturing in India? Will Lexus build the the RX or ES in India? Once the quality is there, localization makes a ton of sense. The "Lexus manufacturing in India" rumors are reignited by a Japanese-language Asashi Shimbun article. Fortunately, David Fickling brings us some English-language insight and commentary on the subject in a Bloomberg Gadfly column titled A Passage to India for Lexus. To be sure, assembly isn't the same thing as full manufacturing. The current proposal centers on knock-down kits -- collections of pre-made parts designed for assembly in destination markets that have been a part of the global auto industry for a century. That would mean a smaller local component to manufacturing, although even with complete knock-downs some elements such as paint 1 tend to be added in the end-market. 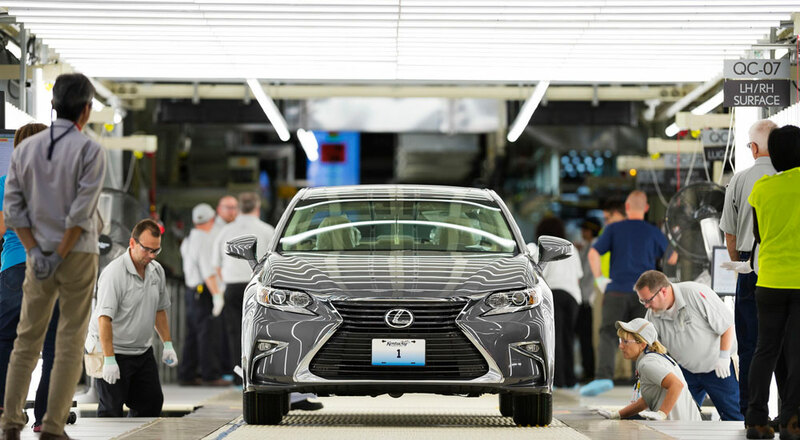 Meanwhile, taking even a lesser job like assembly out of the hands of the Japanese takumi is a sign that Lexus has reached a point of acceptance as competitors catch up with it on quality, and is preparing to let its hair down a little. That's no bad thing. There's a huge market for prestige vehicles, and Toyota will be limited if it treats every premium car like a Patek Philippe. A less obsessive Lexus might have to downgrade its quest for perfection to Rolex levels -- but as luxury goes, that's not a bad place to be. People who follow how TMC works, especially with regards to Lexus, know that this is a no story at all. They basically have minimal sales in India, and Indian market is focused on lower end vehicles with no sight of change. I understand that India wants to be like China, but it is not there, it is not even getting there so all this stories about EVs in India or Lexus in India is just nonsense. India is a smart player in current global market. They put hefty taxes on imports just to tell you hey you better invest in here and then you are welcome to grab piece of the pie. That's how you build up industry in your country. Hopefully they have a plan how to contain the population and increase life quality of it's citizens. I've never seen so many homeless people like I've seen in India.